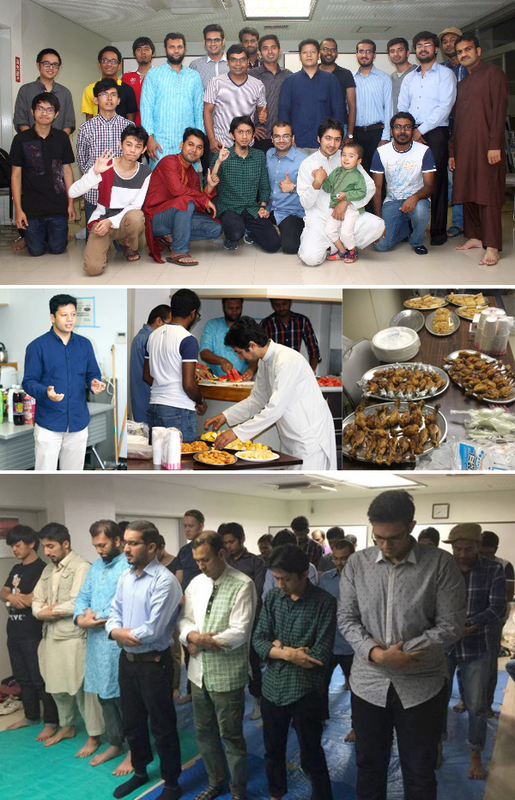 An Iftar party (a religious event of breaking fast during the month of Ramadan) was organized by ISSSU (International Student Society of Saitama University) on June 30, Thursday at International House meeting room of Saitama University. This is the first time in Saitama University, where a handsome number (more than 40) of Muslim and non-Muslim students including Japanese students enjoyed a religious event together. There was a short lecture on Islam and the lifestyle of Muslim, prior to the dinner. At the time of fast breaking, delicious foods were served to all. Main dishes like, curry rice, chicken curry, chicken fry, vegetable rolls, etc. were prepared by Muslim students, whereas juices, drinks and fruits were shared by non-Muslim participants. It was a great opportunity for Muslim students to represent their religion and culture in front of non-Muslim students, as well as non-Muslim students got the chance to learn about Ramadan and Islam.